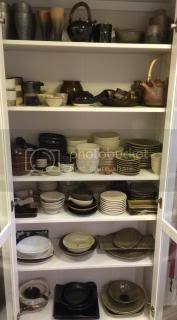 So, we got a new cabinet to store all the precious Iga-yaki bowls and plates. I admire them so much. I can never get tired of even just staring at them. These are all hand-crafted by artisans of Nagatani-en, and they make me feel the power of the earth and fire from Iga, Japan. With my new Iga-yaki bowls, my regular dishes taste even better. 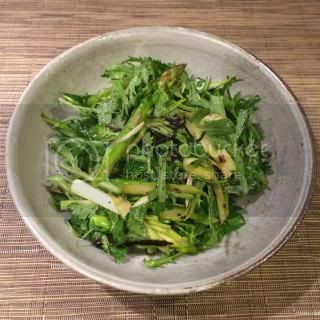 Shungiku and asparagus salad, and donabe steam-roasted lotus root and jako (baby fish). 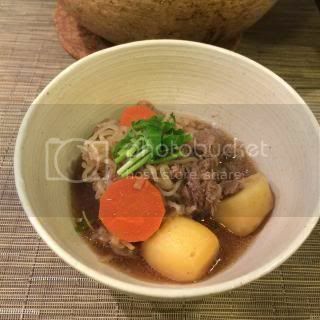 Main dish was Nikujaga! 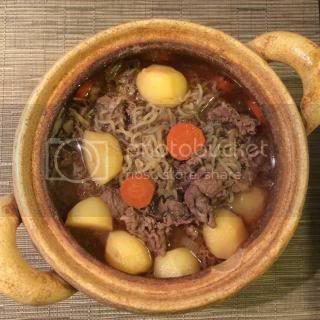 I always make nikujaga in my soup & stew donabe, "Miso-shiru Nabe". I served it in a new Iga-yaki bowl, too. 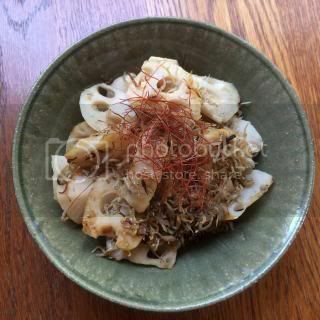 You can find my Nikujaga recipe in toiro kitchen's website.